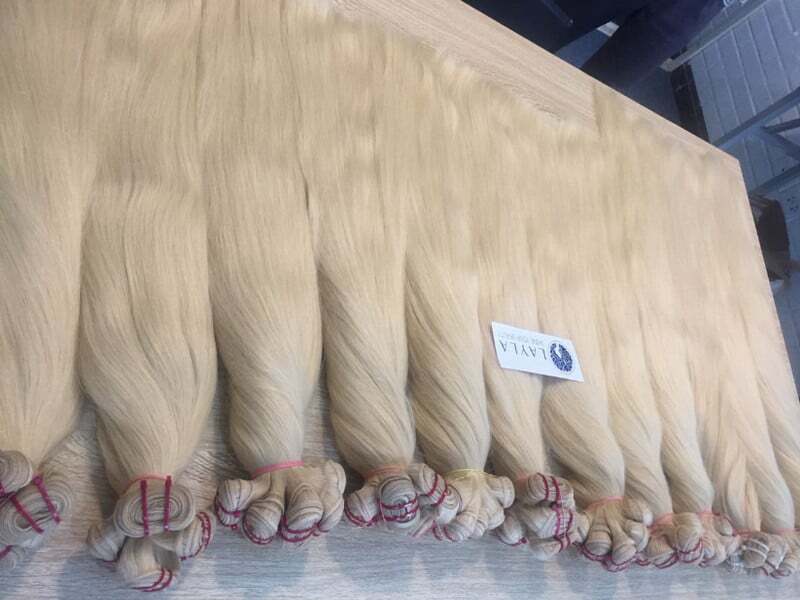 In recent time, the color hair extensions like balayage color, blonde, black, red, or even black blue hair which made you look really trendy. But, the color hair extension needs a little extra attention if you want your color to last long. Nothing is worse than spending big bucks at hair extension shop for the newest trending color. And then having it fade after a week due to not well-taking care. With a little proper care and creativity, you can keep your color-treated hair looking shiny and vibrant. But you do not know how to take care of dyed hair? or what is the best way to take care of color hair extension? Now, Layla Hair will share you somethings to take care of dyed hair or color hair extension. Please read until the end to find out what we have! Once you’ve achieved the perfect shade of color, the next thing to do is to make sure you take the proper steps and use the right products to keep your color hair healthy and prevent your color from fading. But how to take care of beautiful bright color hair? Whether you’ve gone for a dramatic or subtle change, you want to make sure you provide your hair with nourishing ingredients in order to maintain a healthy look and shine. With Layla Hair’s tips and tricks, your color hair will have that shine and silky soft feeling you love! Sure that you only uses quality, conditioning hair colors. 1 Sure that you only uses quality, conditioning hair colors. 4 Washing your color hair extension no more than 2 or 3 times a week. Let start asking your hair colorist about the good quality care products to maintain your color and make sure you know well about all steps to help conditioning the hair as the weeks go by. Natural oils will retain moisture in your color hair and help your hair shiny and healthy all the times. Especially, normal time before washing is 2-3 days. So keep calm and wait until the good time then you can have beautiful bright color hair. The more time you can wait, the longer time that you do not need to spend your money to return to the hair salon to fix the color. You may find the anionic detergent named Sodium laureth sulfate in many care products that is used to help produce foaming effect in your shampoos and conditioners. It is the risks for your color because it will make your hair lost natural oils and moisture. So the advice here you should try to find sulfate-free shampoo and conditioners of course. Make sure you check the labels before choosing it as your care products. Washing your color hair extension no more than 2 or 3 times a week. Washing your color hair extension every day is something you want to avoid if want your hair color to last longer. This action is washing away your natural oils that keep your hair with moisture. Admit that you will feel clean and fresh but it is not friendly with you color hair extensions. So 2-3 times per week is suitable period of time for you to wash hair. Hot showers is so great after busy working day but it is not recommended for color hair extensions. Remember that the hair’s cuticle is opened under hot temperature so it allows your color be washed away with shampoo and conditioners. So you should use slightly warm water only and cold water after conditioning. Because cold water will seal moisture from your conditioner while preventing color from fading. If you want to have amazing color hair without damage by chemical, human hair extension is a perfect choice for you. Layla hair company only uses untreated virgin hair to produce its the color hair extension. Besides, the hair is harvested carefully from donors who painstakingly take good care of their hair. And, then assembled into a Remy wet and wavy hair extensions without being exposed to chemicals. Our extensions are of the genuine Remy sort. Because we ensure that, the cuticles of the weft we produce remain undamaged. As a result, balayage color hair, blonde hair, brown color hair extensions original direction for a more natural look. Next, the color hair from Layla Hair is naturally, wavy with natural-looking locks that complement a wide range of hairstyles. They can wear by those whose hairstyles are already wavy, curly and straight. However, the extensions can also wear by individuals with straight hair. Virgin hair adds body to their wearer’s hairstyle and can be worn loose or tied. Furthermore, some even choose to braid, cut and or dye their extensions. It is entirely possible thanks to the durability and versatility of quality Remy hair from Layla. 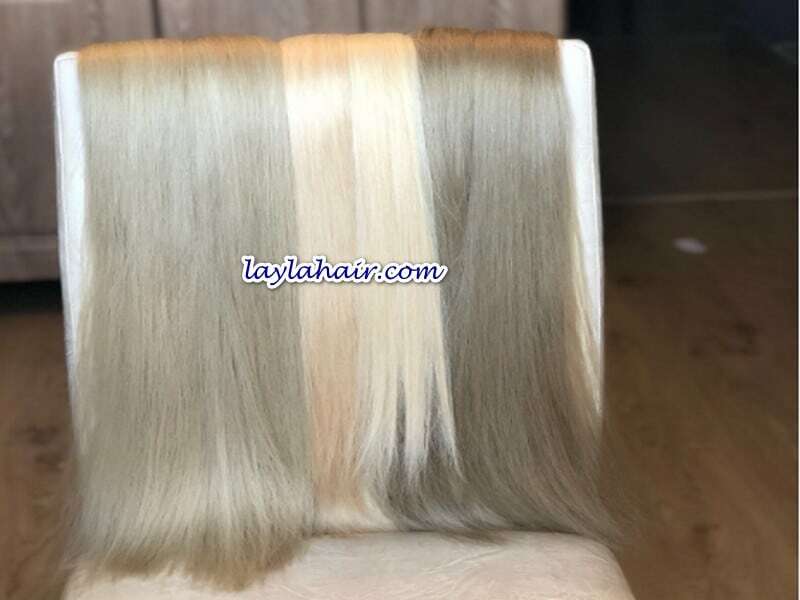 In conclusion, After reading all of the above information, Layla believes that you will understand clearly how to look after of color hair extension? So now, why don’t you buy Vietnam hair extension from Remy hair wholesalers Layla? It will absolutely change your life. If you have any questions or comments, please comment below, we will answer you and give you pieces of advice!